In the face of upcoming global challenges like population growth, land scarcity and climate change, further productivity enhancements of EU and global agriculture are urgently needed. 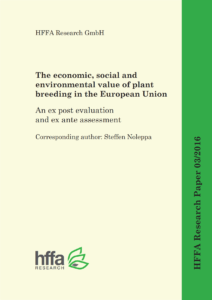 The current HFFA Research Paper identifies and describes the role of plant breeding in increasing EU agricultural productivity and shows the various benefits provided by this technology to agricultural producers, consumers and society as a whole. The authors show that plant breeding innovations are central to increasing productivity as well improving quality and agronomic crop traits. On average and across all major crops cultivated in the EU, plant breeding contributes approximately 74 percent to overall productivity growth. Also, since the turn of the millennium, genetic crop improvements in the EU have generated an additional social welfare gain of almost EUR 9 billion in the agricultural sector alone. 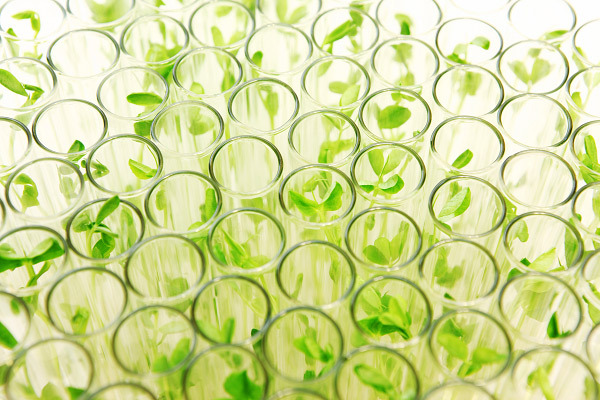 Further important benefits of plant breeding are characterized and quantified in the study. Accordingly, plant breeding has been responsible for huge yield increases, improving conditions on international markets, increasing the potential world food supply, and reducing CO2 emissions, to name a few examples. The study lists many more and shows that crop improvements offer a valuable toolkit for meeting many, if not most, of the important challenges that agriculture is facing. Taking these benefits into account, the authors voice their concern about the challenging policy and regulatory environment that plant breeders in the EU are facing today. More resources are urgently needed in order to ensure future productivity and efficiency growth. The high societal rates of return that plant breeding investments generate should be further acknowledged and politically supported. The authors hope that the results of this study will help to inform interested stakeholders and facilitate an unbiased public debate on the importance of advancing crop improvements, today and in the future.